Johns Hopkins was born on May 19, 1795, in Anne Arundel County, Maryland, to a Quaker family. Convinced that slavery was morally wrong, his parents freed their slaves. As a result, Johns had to leave school at age twelve to work in the family tobacco fields. Hopkins regretted that his formal education ended so early. Ambitious and hardworking, he abandoned farming, and, at his mother’s urging, became an apprentice in his uncle's wholesale grocery business when he was seventeen. Within a decade, he had created his own Baltimore-based mercantile operation. 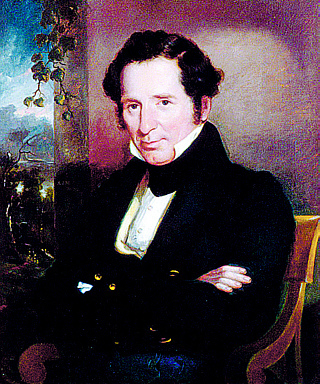 Hopkins single-mindedly pursued his business ventures. He never married, lived frugally, and retired a rich man at age fifty. A series of wise investments over the next two decades—he was the largest individual stockholder in the Baltimore & Ohio Railroad, for example—further increased his wealth. 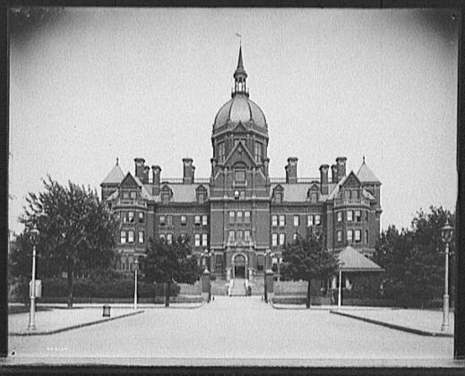 He used his fortune to found The Johns Hopkins University and Johns Hopkins Hospital in Baltimore, Maryland, incorporating them in 1867. Johns Hopkins (May 19, 1795, Anne Arundel County, Maryland – December 24, 1873, Baltimore) was a wealthy entrepreneur, philanthropist, and abolitionist of 19th century Baltimore, now most noted for his philanthropic creation of the institutions that bear his name, namely the Johns Hopkins University, Johns Hopkins Hospital and Johns Hopkins School of Medicine.